Real Madrid´s most famous player, Cristiano Ronaldo has been offered a huge sum of money by Manchester City to play for them! It is rumoured that the Portuguese football player was offered a whopping 23.5 million a year to play for the British team. However Ronaldo was not tempted by this offer! He said "I am not going. I don´t see myself outside of Madrid. I am happy here." When he was interviewed he assured audiences that for him money was not the most important thing. He said that if he wanted to he could have far more money in his bank account. He currently has another four years contracted with Real Madrid. Ronaldo is a player who enjoys worldwide fame and regularly breaks records season to season. He has scored a spectacular 87 goals in 89 matches! This season he scored a world record of 54 goals in a season! What's more is that 41 of these were in League matches - another record breaking total. If he were to have accepted the offer made by Manchester City he would not only have been accepting a sizeable salary but would also have been appointed team captain. Despite their offer though he will remain with his current team in Spain. Ronaldo transferred from Manchester United to Real Madrid in 2009. He was bought by the Spanish club for 80 million! Manchester City are now offering to top this though offering Real Madrid a rumoured 170 million for the player! The Real Madrid star is without a doubt one of the most sought after, and one of the most expensive, football players in the world. « Next Article: Take the don Quijote Spanish PhraseBook with you! Free Download! 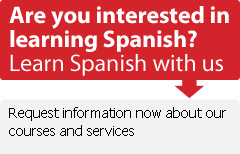 Take the don Quijote Spanish PhraseBook with you! Free Download!